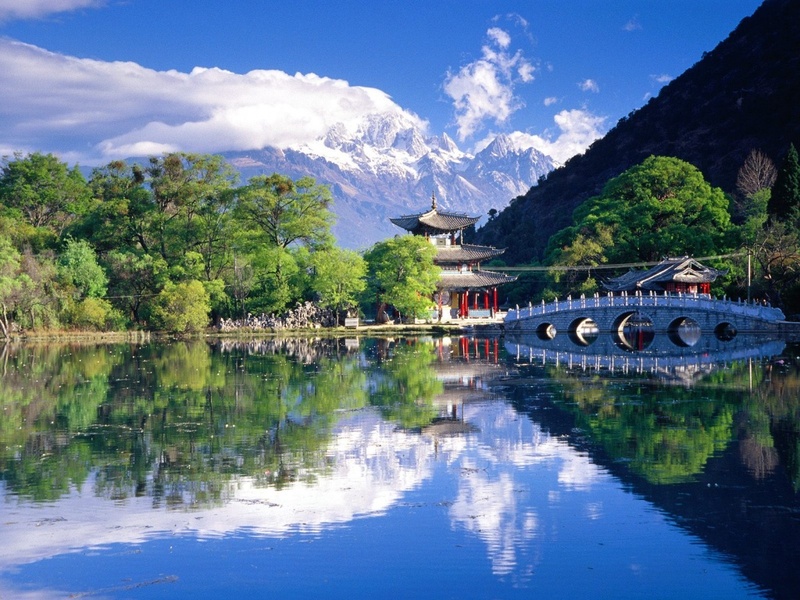 Black Dragon Pool is divided into two parts by a stone bridge. The color of the water in the south pool is green and the north yellow. Although the water of these two parts meets each other, fish in one pool never visits the other one. There are two Taoist temples in Black Dragon Pool; the lower one is Black Dragon Palace and the upper Longquan Temple. Near the Black Dragon Pool is the Black Dragon Palace, which was built in 1394 (in the reign of Emperor Hongwu of the Ming Dynast y) and rebuilt in 1454 (in the reign of Emperor Jingtai of the Ming Dynasty). 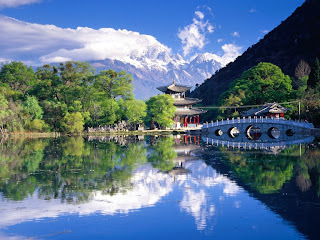 The whole palace consists of three halls and two courtyards, and the main hall features a stone plaque written by the governor of Yunnan in the Qing Dynasty to praise the views here. The Black Dragon Palace is also called the Lower Temple, because when you walk along the stone steps, you come directly to the Upper Temple - the Dragon Fountain Temple - which is hidden among ancient trees. This 570-year-old temple includes Thunder Deity Hall, North Pole Hall, Sanqing Hall, Jade Emperor Hall and some other halls in which the deities of Taoism are worshiped. The Dragon Fountain Temple is the largest Taoist temple in southern China. Two important building complexes in the Black Dragon Pool are the Longquan Temple (Dragon Spring Temple) and Black Dragon Palace. 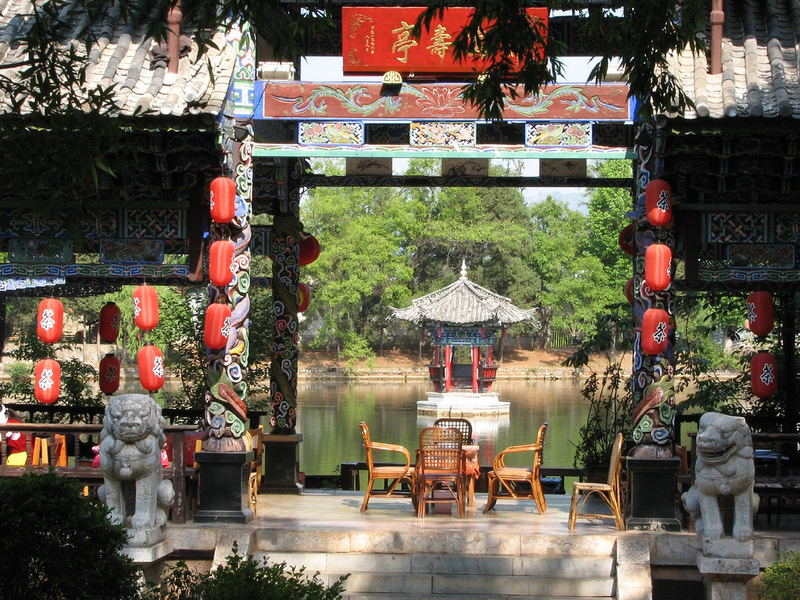 Longquan Temple, the largest structure in the park, was built along the pool during the early Han Dynasty. The temple was enlarged and reconstructed several times throughout subsequent dynasties. Most of the buildings visitors see today were completed during the Qing Dynasty. The Black Dragon Palace is at the bank of the pool, which is where memorial ceremonies were once held. This palace was built during the Ming Dynasty, around 700 years ago. It consists of three halls and two courtyards. The Ming Dynasty was overthrown by the Qing Dynasty in Chinese history, and the potentates of the Qing were all from a minority ethnic group called 'Manchu'. When the Manchu marched into the Chinese mainland and became the rulers, many people killed themselves to show their loyalty to the Ming Dynasty, including a scholar named Xue Erwang and his whole family. They drowned themselves, and the tomb of these loyalists is located beside the Black Dragon Pool.